SILVER – Superyachts News, Luxury Yachts, Charter & Yachts for Sale. Yacht SILVER is the most exciting yacht available for Sale. She provides an elegant combination of luxury, innovation and speed, whilst her lightweight structure makes her incredibly fuel efficient. Accommodating up to 18 guests, her interior is a striking blend of luxury and style. There are several spacious outdoor dining and lounging areas and onboard entertainments include a spa pool, beach club and theatre room. Designed by world renowned Espen Oeino Design and launched in December 2007, Silver has been entirely constructed to meet North European Yacht standards and exacting SOLAS requirements. 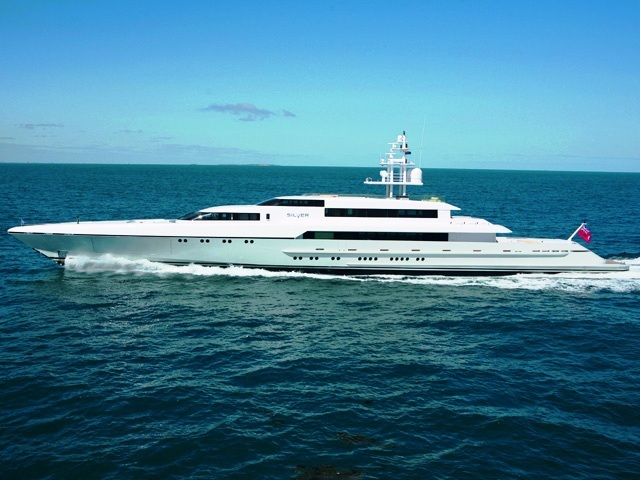 You can get more info from http://www.ycoyachts.com which is the yacht brokerage company selling the yacht. Do you know something about SILVER? - you can register or log on to add your own page. You can get more info from http://www.ycoyacht.com which is the yacht brokerage company selling the yacht. I think Edminston Yachts were also selling this amazing yacht! Think this yacht was sold recently.